Looking for the perfect book for the holidays? Your search is over. Award-winning architect and author, Duo Dickinson, will share his immense knowledge of historic houses and how their styles are being adapted in domestic architecture today. 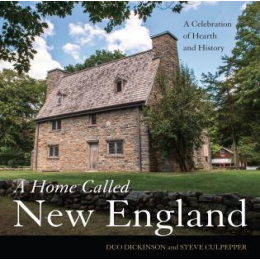 Duo, a practicing architect in Connecticut, co-wrote his summa, A Home Called New England, with Steve Culpepper. Engagingly written and sumptuously illustrated, the book establishes a new standard for the study and appreciation of traditional American architecture.